At A2Z Diesel Services we specialize in diesel engine repair in El Paso. Our goal is to be the go-to diesel mechanic shop in the area so that our clients know just who to call for all their truck and trailer repairs. By providing precise diesel engine diagnostics, we are able to determine the problem and proceed to repair it in a timely manner so that you may get back on the road in no time. 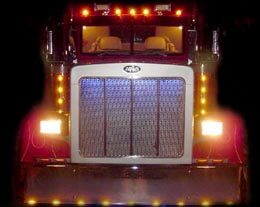 We offer truck electrical repair, A/C repair, welding and any diesel engine repairs needed for passers-by or local trucking companies. As a former trucking company, we know just how important time is in the trucking business so our diesel mechanic’s main goal is to work quickly and efficiently. We are a dealer of ESCO engine parts in El Paso, diesel rebuild kits and engine kits. See “ESCO engines” page for more. But we don’t do only repairs. We also do preventative maintenance, oil changes and bodywork. At A2Z, we perform Texas inspections on-site so that all your trailer/truck needs can be met in one stop. Our diesel mechanics take pride in their work and our promise to you is that you will get the best service any diesel mechanic shop in El Paso can provide.